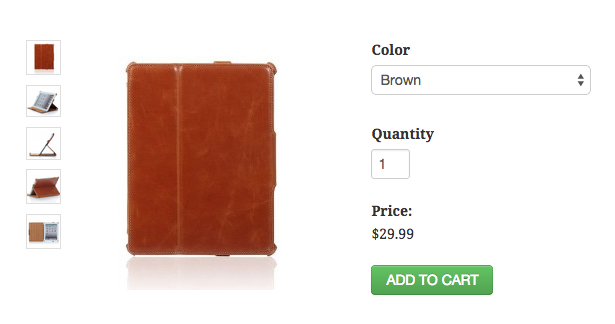 Cart66 provides an image gallery for your Cart66 Product pages. It's quite easy to use. If you only have one image you will not get the thumbnails in the gutter on your product page. 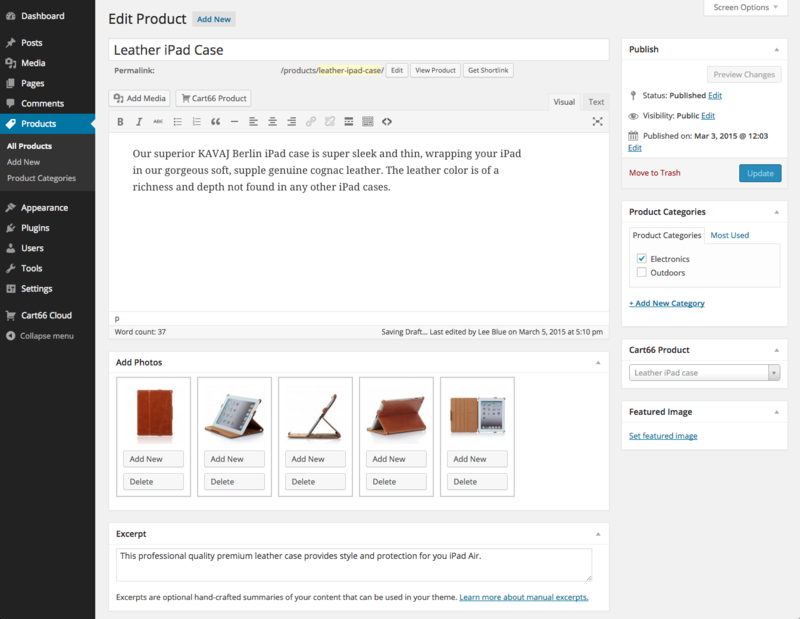 The default layout includes a listing of product thumbnails to the left of your main product image. On the right of the gallery is the secure Cart66 product order form. Clicking the image thumbnails changes the main image.